Go for The Rania Experience, (www.raniaexperience.com) where you can rent an entire Maldivian island in the Faafu atoll (up to US$20,000 per night, with a minimum stay of three nights). The retreat accommodates up to 12 people, and has one master bedroom and two guest rooms. Guests will be picked up at the airport by a butler. He will meet them at the VIP Lounge at Maldivian Air Taxi, before escorting the party to a private charter seaplane. The Soneva Fushi resort is on the 298sqm Kunfunadhoo Island, and is a perfect destination for the environmentally conscious. 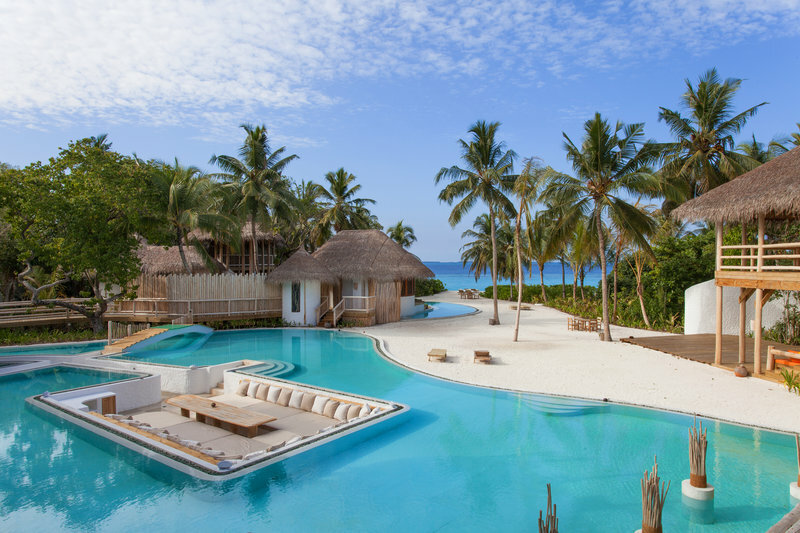 The resort was has won numerous awards, including the IE Sustainable Luxury Award 2014, and the Leading Eco Resort by the Maldives Travel Awards in 2013. All of its water is sustainably sourced and their 119ha reef is being conserved. The resort encourages guests to get away from it all, with a “No News, No Shoes” policy – guests are advised to get rid of their gadgets and to enjoy their vacation. The most lavish suite on the island, known as Villa 11 (up to US$40,363 per night), looks like a mansion in the middle of a forest – there is a spa, sauna and steam area, as well as an enormous swimming pool only accessible by water slide. There are five bedrooms and one kids’ bedroom, complemented with nanny and butler service. Coco Privé Palm Residence. Image used with permission. 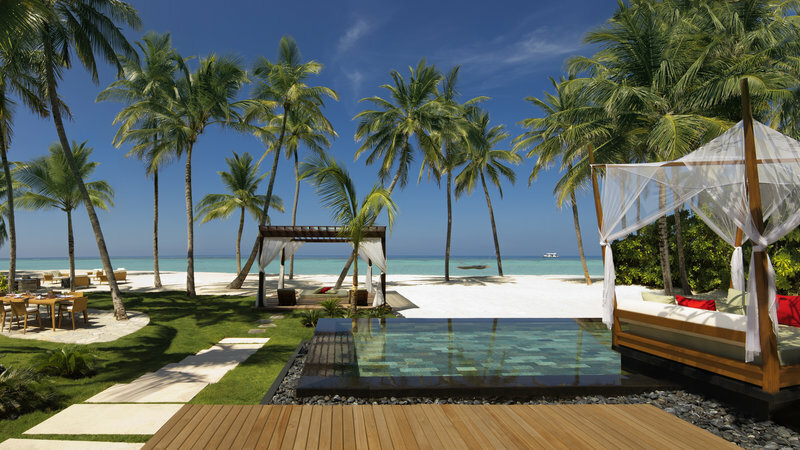 The Coco Privé Resort (www.cocoprive.com) rests on the 13,000sqm Kuda Hithi Island, which is in the heart of the Maldives. It was awarded the Indian Ocean’s Leading Private Island Resort by the World Travel Awards in 2014, and is a the perfect getaway for millionaires and celebrities. 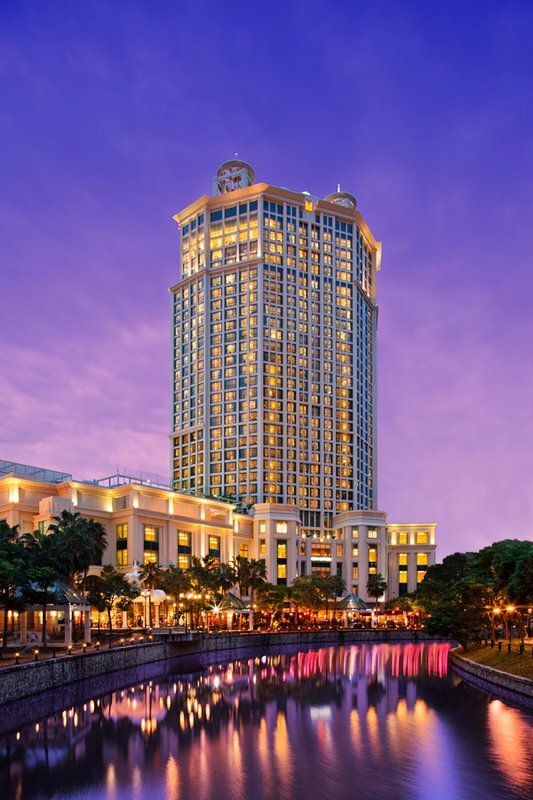 The resort’s General Manager, Paul Vincent Benedict Brown, was Queen Elizabeth II’s former senior footman. Head over on your own private jet or yacht, and sleep in one of the six villas. 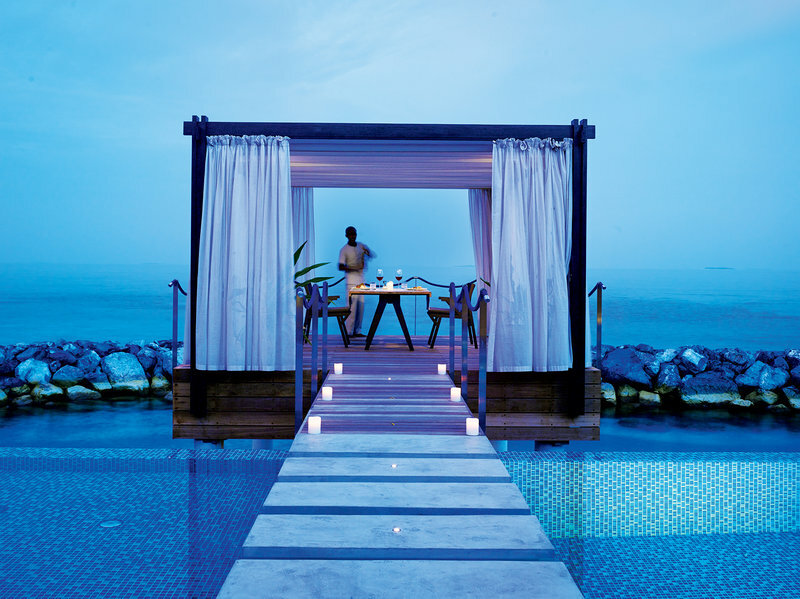 Stay in the Palm Residence with an infinity pool that seems to stretch across the length of your very own beach. The villa has two storeys – the ground floor has a cocktail bar and wine room, while an iPad controls the interior fixtures like the fans, television and Bose stereo system. The villa was designed by Guz Wilkinson, with its natural, flowing forms and use of glass giving the residents an amazing view of the seaside. Apart from having the requisite 24h private chef and daily housekeepers, there is also an on-site diving instructor, a beauty and massage therapist, and a personal lifestyle host to ensure that you get the most out of your bespoke experience. 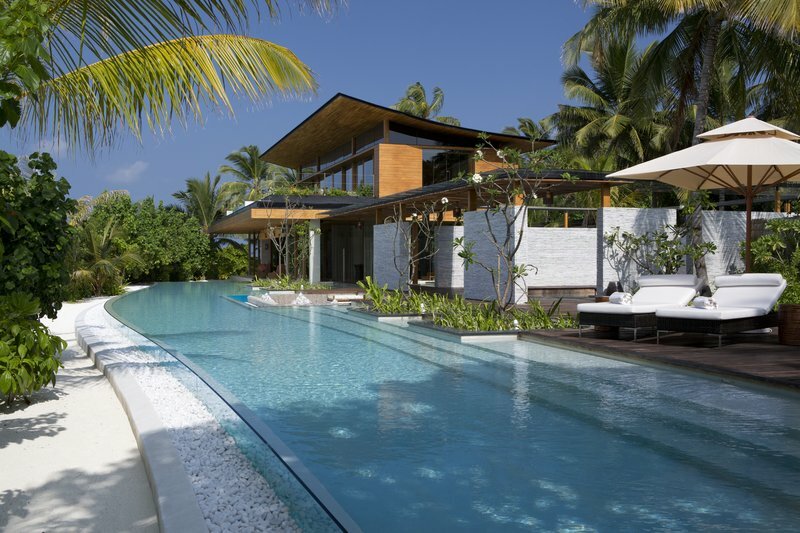 Coco Privé Kuda Hithi costs from US$25,150 per night based on 12 persons sharing. The One&Only Reethi Rah Resort has 6km of private coastline. This is not surprising as the resort is atop one of the largest Maldivian islands in North Malé Atoll. It was awarded the Maldives’ Leading Resort last year by the World Travel Awards. The most spacious resort is the Grand Sunset Residence (about US$16,000 per night), where guests are able to walk along 2,000sqm of beaches. The roads that lead to this villa are closed off with an electronic gate, and guests make their way around the island in four-seater golf carts. The residence consists of a two-bedroom villa, with a Smeg wine cellar bar, a rainshower room, and a Bang & Olufsen BeoCom5 telephones. There are also iPads and glorious 55in LCD televisions with Bose surround sound systems. There is also a 50sqm private swimming pool to relax in peace. The hotel is best known for its unparalleled spa treatments – there is a wide variety to choose from, including a Private Spa Retreat for two in accordance to your needs. We recommend the “Pedi:Mani:Cure” by renowned podiatrist Bastien Gonzalez – his special Bastien’s Duo treatment will work on your hands and feet simultaneously. This treatment has received numerous awards. David Beckham was seen holidaying with his family during Christmas last year. The owner of the Chelsea football club, Roman Abramovich, also stayed there. He is also the owner of a US$1.5bn mega-yacht that is probably the second largest in the world. 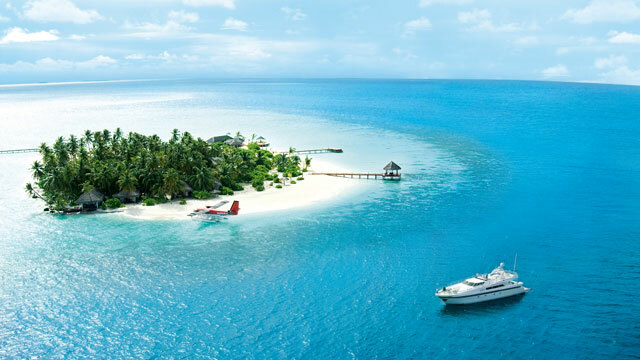 Designed by Czech architect Petr Kolář, Velaa Private Island (www.velaaprivateisland.com) is set to be the most discreet resort the country has to offer. Opened in December 2013, it is located on the Noonu atoll, and is a 45min flight from the capital of Malé. This service can be arranged by the staff. The resort was conceived by the Czech financier Jirí Šmejc and his wife, Radka, with special touches imported from around the world – the wood panelling is from Borneo and its chairs from Italy. One highlight of the resort is its Troon Short Game Golf Academy, which was designed by two-time Masters’ champion José María Olazába. Among its 45 private luxury villas – all of which have their own pool – 18 float amidst the tranquil turquoise waters. We recommend the Romantic Pool Residence (about US$18,000 a night), which is only accessible by boat. Ideal for couples, this villa boasts a private chef, butler, as well as personal spa treatment rooms and a gym. Meals are cooked by Paris-based Michelin-starred chef Adeline Grattard, and the island also houses one of the four My Blend Spas by Clarins in the world. This spa comes with a snow room, which features a cloud-like pod that lulls guests into deep relaxation. Jump into a private submarine, James Bond style, or go for a romantic sunset cruise, as well as dolphin watching. For the most privacy, rent the island for a week at about US$186,879. These Are Probably The 10 Best Bali Deals… Ever.